Thanks to SKEETER BOAT CENTER and GARMIN!! Rules Change for 2016 - All GreenHorn Division Subs must be declared on the membership form at the beginning of the season. Subs must be cleared by the GHBT Directors as GreenHorn to qualify for the GreenHorn Division. Start thinking about who your sub will be so that you can add them to your membership form. Congratulations to the following 3 teams that have graduated to Advanced Status after 2015. These teams showed consistent performance over the past 2-3 years with the GHBT Rating of over 96pts. Congratulations and welcome to an elite group of anglers in our area! CONGRATULATIONS!! GREENHORN TOC CHAMPIONS TEAM DE KOCK/DURAND! Andrew De Kock and Dave Durand took top prize on Goose Lake Sunday August 23rd with a final weight of 12.79lbs! CONGRATULATIONS!! ADVANCED TOC CHAMPIONS TEAM MOSER/NOVAK! Aaron Moser and Adam Novak took top prize on White Bear Lake Sunday August 2nd with a final weight of 14.06lbs! !! CRITICAL NOTICE: Advanced Anglers are not allowed as Subs in ANY GreenHorn Division event. Only the directors of the GreenHorn Bass Tour can determine if an angler is of Advanced qualifications. For the rest of the season all Subs will be required to be pre-screened for GreenHorn Status by the directors of the GreenHorn Bass Tour. Please email us with the name of your potential Sub at least a week in advance. Subs that are not pre-qualified to fish as "GreenHorn" will not be allowed. This has been a general sportsmanship rule and is now escalated to a formal rule to prevent confusion. There is no change to the ADVANCED Division Subs. A signature of the liability waiver is all that is required. Congratulations to team Majors/Majors from GreenHorn Wednesdays and team De Kock/Durand from GreenHorn Sudays for leading the points in your respective GreenHorn series after the first four events. You have both been awarded a spot in the Advanced TOC on White Bear Lake August 2nd! The 2015 Season Kickoff Meeting was a great success! Thanks for all who attended! RULES CHANGE NOTICE: At the season kickoff meeting we voted and passed a change to how the season points are calculated. To calculate season points for TOY and TOC the lowest event will now be dropped and the remaining four events will be used to calculate each team's points for the season. With this change it is possible to miss an event, recieve 0 points, and still be in contention for TOC eligibility and Team of the year. Thanks to all of our sponsors for an awesome 2014 season! Congratulations to all raffel winners! All winners must pick up their prizes in person from the corresponding sponsor, bring your ticket stub and photo ID to claim your prize. Unclaimed prizes will go towards prizes for next years pre-season meeting. If you don't want your prize please leave it with the sponsor and email greenhornbasstour2011@gmail.com. Our 2014 GreeHorn Sunday points runner up Dustin Bliss has been sacking the big bass on Mille Lacs for some phenomenal fall fishing. He caught this 7.35lb giant last weekend nearly reaching the 8lb Minnesota state record. If things keep going like this we're gonig to break that record! Nice Job Dustin! Even though the legendary monster GreenHorn Bass can never be caught, or landed, we can still keep trying. If you have any monster bass photos during the GreenHorn off season let us know and we will post your story on our front page. HAMMERSCHMIDT/OPPEGARD WIN THE 2014 GREENHORN BASS TOUR FALL OPEN SEPT 6th&7th! These guys put on a show Saturday on Waconia weighing in 21.5lb to take first place going into day 2 and produced a nice bag of 12.18lb on a tough second day on Green Lake to keep the lead and win the event! After finishing out the season in 2nd place in points for both the GreenHorn Sunday and GreenHorn Wednesday divisions the Turcottes finished their outstanding season in consistent fashion on Sunday with a GreenHorn TOC Victory! 2014 ADVANCED DIVISION TEAM OF THE YEAR!! 1st PLACE on E/W Rush in the ADVANCED TOC August 10th!! Shane and Ted fished an epic season in 2014 and have shown outstanding sportsmanship throughout the year! They did it again in the ADVANCED TOC Sunday on E/W Rush taking home the ADVANCED Division Crystal trophy! Ted's words of advice is that there is always something more to learn at any level of fishing! Congratulations Shane and Ted! We are glad to have you as part of the GreenHorn Bass Tour and we will continue to learn from you guys as we all develop as anglers and sportsmen! THANKS TO EVERYONE WHO ATTENDED THE PRE-SEASON MEETING! We had over 60 members attend the 2014 pre-season meeting and it was a great time had by all. I believe our new meeting location was a success and I hope everyone enjoyed it. The TOC will require a $25 dollar entry fee per boat (cash at the ramp). The League Bonus will be paid out to the top two league bonus teams per tournament. N/S Center and Goose will remain on the schedules as is. The current posted schedule is accurate. WIN YOUR WAY INTO THE FRANKIES PRO TEAM TOURNAMENT IN AUGUST!! Interested in a small Saturday League??? - One of our respected league members is directing a new league based on smaller lakes in the area. Click this link to learn more about the North Metro Bass Academy. Thanks to all of you who attended this years pre-season meeting! It was a great success and a great time overall. I hope everyone enjoyed the new meeting location and video. 1) The TOC will require a $25 dollar entry fee per boat (cash at the ramp). This will help make the payouts better while still rewarding teams for qualifying. 2) The League Bonus will be paid out to the top two league bonus participants per tournament. This means that if the best placing league bonus team comes in 5th place overall they will win the top league bonus prize (60% of the total league bonus for that event) and the next best league bonus team would win the remaining 40%. If you haven't paid in for league bonus you can still add it before the start of the season. 3) N/S Center and Goose will remain on the schedules as is. The current posted schedule is accurate. Please send in your orders for hats and t-shirts (address below). I've attached the order form to this email. You need to mail your form in to me with payment before I will place your order. All orders are due by June 2nd. We were able to add the Black front/white mesh back Flex Fit hat to the order form. Also - we are able to get shirts without the back printed, if you want to do this please write it clearly on the order form (NO BACK SIDE PRINT) and I will have it made with only the front logo. There are several of you who were on our interest list who have not sent in your forms and fees. If you were interested in GreenHorn Wednesday you are too late but can still enter ADVANCED Wednesdays. We are gearing up for an epic season! Please don't hesitate to ask questions. Good Luck and Let's Go Get 'Em! These include North Center and North Goose Lakes. CLICK HERE to read a special message from All Service Oil. The results are in! Congratulations to your GHBT League Director, Andrew De Kock, for winning the 2013 GHBT Directors Bass Battle on Linwood lake. Andrew narrowly defeated Bill Lynaughs 4lb 12oz fish with a 4lb 14oz hog. Please remember to thank your GHBT directors for their dedication to our sport and keeping our league alive. The guys all did a great job in 2013!! TRACEY SHINLER & KOREY SYBRANT ARE THE HITCH SERIES ADVANCED SUNDAY TOC CHAMPIONSHIP TEAM FOR 2013!!! Congratulations!!!! You guys have proven to be the #1 team in the GHBT, taking the first place prize on Lake Waconia with 18.62lbs! Our runner up team Anderson/Stepnick missed the 1st place prize by only 0.06lbs. These guys stepped up as a rookie GreenHorn team and have shown that they have what it takes to compete at a high level in our sport! Third place went to Turcotte/Turcotte with a solid 15.38lb bag. Great job!! Thanks to all anglers who made it a great event. Tracey and Korey will take home both the Team of the year trophy and the ADVANCED TOC Crystal Engraved Trophy. Congratulations to Travis and Randy Osen for their Advanced Sunday Series Victory on Big Marine! These guys really dominated with their 17lb + bag and are proving to be a dominating force in the Advanced Series!! Congratulations to Tracey Shinler and Korey Sybrant for their best finish of the season with 2nd place which was just enough to seal the deal for the GHBT ADVANCED Sunday Series Points Leaderboard!!! Tracey and Korey have been an outstaning couple of sportsmen and some of our best anglers we have ever had in the league. It's great to see you guys with so much success in this new Advanced Series. Now that the 3rd place curse is broken its time for a win at the TOC on Waconia! Good luck! Coming in third place was Steve Hammerschmidt and Greg Oppeguard. Steve and Opie are one of the GreenHorn Teams that have really stepped up their game this year. Their dedication and time on the water has shown results and it is great to see a team develop and learn through tournament angling. Great job guys! With the close of the last regular season Advanced Sunday Series event the stage is now set for the Hitch Series Advanced TOC on lake Waconia coming up on September 8th. Dan Cochran and Bill Lynaugh will direct the event. Please Check the GHBT Points Leaderboard to see if you have Qualified. All GreenHorn Bass Tour TOCs are free entry. You have earned your slot! You only need to bring your optional $10 dollar big bass money. At the Hitch Series Advanced TOC we will be awarding the winning team with a Hitch Series Trailer Keepers and Victory Baits prize pack, Two Fenwick Rods, and the first ever Advanced Series TOC Trophy!!! Fourth place will win two Pflueger Spinning Rods. Thanks to Pure fishing for providing us with some additional prizes. We will also be awarding the Team of the Year Award. Dont miss it! Congratulations to Andrew De Kock and Pete Wolf for their 2013 Fishwhittler Custom Lures GreenHorn TOC Win on White Bear Lake Sunday August 18th. Andrew and Pete put together the 16.39lb winning bag using a custom painted crank bait by Ben Maske of Fishwhittler Custom lures!! Thank you Ben Maske and FCL for sponsoring our league in 2013!!! Andrew and Pete won the Horns and will carry the GreenHorn Trophy for the next calendar year. Congratulations to Chris Wosika and Mike Anderson for an outstanding finish for 2nd place and Steve Hammerschmidt and Greg Oppeguard for 3rd. Also at the GreenHorn TOC - Ira Allen and Carl Brehm were named the 2013 GHBT Team of the Year. These guys were a great addition to our league finishing in 1st place in three of five regular season events and Carl also fished one Advanced event and finished in 2nd place. A phenominal year for a great team!!!! All Tournament Anglers - Capras sporting goods will provide a great discount at the register for all members of the Greenhorn Bass Tour and other tournament series. Just mention "The Classic Bass Discount" at the cash register. More details can be found on www.classicbass.com. We are now looking for a GreenHorn Wednesday Director for 2014. If you are interested please contact greenhornbasstour2011@gmail.com or discuss with us at your next event. All GHBT directors get free tournament entry for all events of which they are directing. We are also excited to announce that we will be running an ADVANCED Wednesday series in 2014. This wednesday series will be open to all Advanced and GreenHorn Teams. The second batch of Fishwhittler Custom Lures prize baits are ready for us! 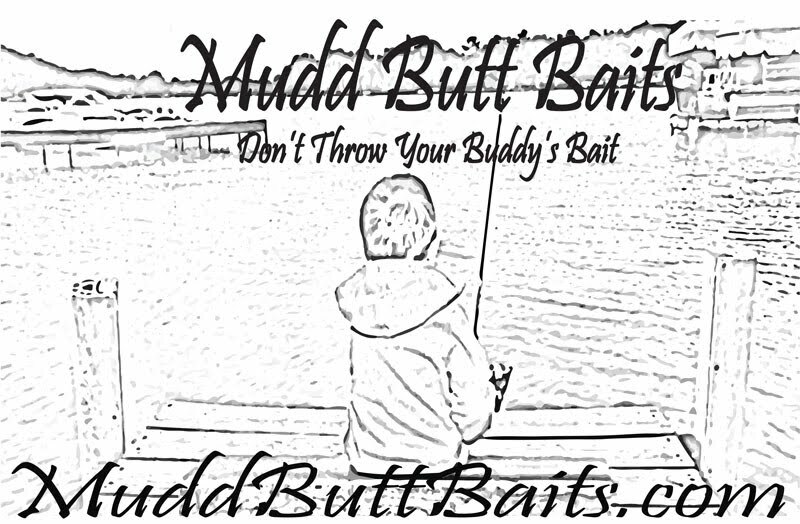 Click the link here to see these hot new baits and read an overview from FCL owner and master lure designer Ben Maske. All GHBT Members are now part of TEAM THORNE BROTHERS!! GHBT Members will recieve 20% off clothing&Sunglasses, 10% off Rods/Line/Lures/Tools, 5% off Reels, and 5% off Electronics/Trolling Motors/Accessories. To get the discount you will need to show your Team Thorne Brothers Card at the register. We will pass out the cards at your next scheduled tournament. 07/02/2013 - Extra special thanks to Jim and Route 65 Pub and Grub for sponsoring the Big Bass Award for all GHBT events in the 2013 season. Please stop by Route 65 Pub and Grub for a beer and a bite to eat. All GHBT members get a 20% discount on food and drinks at Route 65 this year. Just show your GreenHorn Schedule Card to get the discount! If you dont have a GHBT schedule card please ask a tournamnet director at the next event and we will get you one. Congratulations to Ira and Carl for their win on N/S Center in the GreenHorn Sunday Series!! Results will be posted shortly. The first tournament of the year is always a stressfull one for the directors. The rain and cold didnt make it any easier, but we had a great turnout and great sportsmanship by all teams. I would like to personally thank everyone for making it a fun event! 2013 League overview and goals – Sportsmanship! § We will likely need GreenHorn teams to fish Advanced Events to fill series this season. 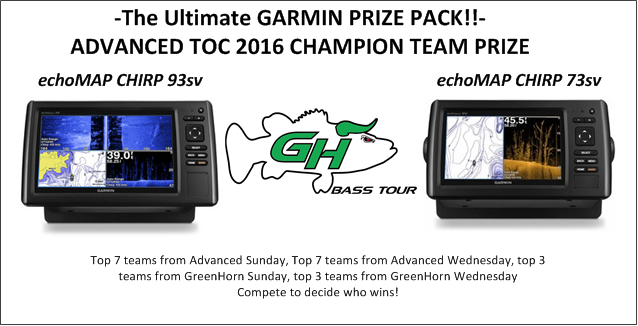 If you are a GreenHorn team please pick and choose Advanced Sundays to fish more events. § We need an Advanced TOC trophy – Anyone got skills? Big Bass Jackpot was voted on and passed. What is it, how will it work? $10.00 per angler – Winner take all. 7am – 11:30am. Winner of the GreenHorn TOC will win the traveling Trophy. Checks only handed out after sufficient discussion of techniques & tactics. Directors to decide. Be honest! Discuss consequences – 3 strike policy for minor offenses! Tournamnet directors will have them available at the first few events please get one if you are not at the pre-season meeting. Goose lake – No wake in channels between Goose, Mandell and Robur. Automatic disqualification if committed. Be smart. All Minnesota DNR rules strictly enforced. All other special lake rules will be announced prior to each event. Collect Membership dues, forms and entry fees. See you all at the first tournaments of the season! Good luck out there and be safe! 4/24/2013 - THE GREENHORN SUNDAY SERIES and GREENHORN WEDNESDAY SERIES HAVE REACHED THE POINT WHERE IF YOU HAVENT SENT IN YOUR FORMS AND FEES YOU SHOULD DO SO. IF YOU ARE LOOKING INTO THE 2013 GHBT FOR THE FIRST TIME WE STILL HAVE OPENINGS IN ALL THREE SERIES, HOWEVER YOU NEED TO GET YOUR INFORMATION IN SOON SO YOU RESERVE YOUR SPOT. WE HAVE MORE PEOPLE INTERESTED THAN WE HAVE SPOTS AVAILABLE; HOWEVER ONLY ABOUT HALF THE FIELD HAS SENT IN THEIR INFORMATION. IF YOU DONT GET INTO THE GREENHORN SUNDAY THERE IS STILL SPOTS AVAILABLE IN THE ADVANCED SUNDAYS. BOTH THE ADVANCED SERIES AND THE GRENHORN WEDNESDAY SERIES ARE FILLING UP AS WELL WITH MORE THAN 10 BOATS EACH SO FAR. WE APPEAR TO BE ON TRACK FOR A FULL SEASON IN ALL THREE SERIES!! 4/11/2013 - Hey everyone! There is less than 60 days unitl the start of the first tournament and we've still got snow and Frozen water! At this point we are going to be fishing the spawn on the first few events! Could be fun! ;) I just wanted to let everyone know that we are doing well on membership numbers so far and we do still have a few spots available for all three series. We want to make sure at fill these up to get that 15 boat field we target each year so if you have friends who are on the fence let's get them signed up! We will have the pre-season meeting in mid-may, and I'll be posting a date for that soon. Get those boats out, clean the reels,re-stirng the rods, re-organize the tackle! Thats about all we can do for a while! I am proud to announce that Hitch Series Trailer Keepers and Victory Baits will be joining the GreenHorn basstour 2013 season. 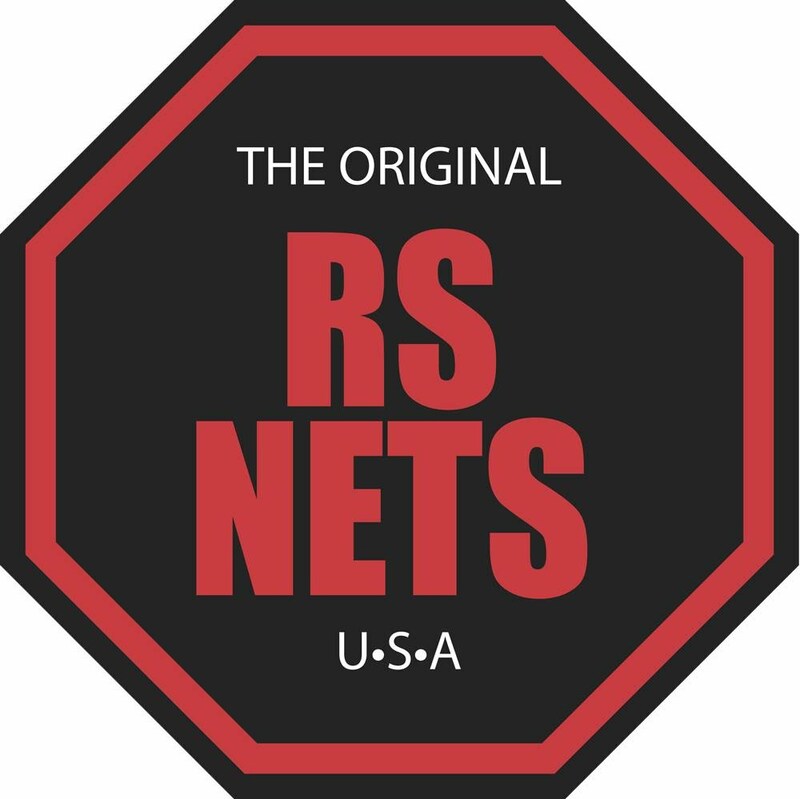 These two companies are owned and operated by one of our past members of the GHBT and probably on of the best anglers who we have ever had on the Tour, Tim DeMarais. Featured in FLW Magazine, BASS Times and In-Fisherman Magazine and used by many of the BASS and FLW pros, the Hitch Series Trailer Keepers are quickly becoming a must have secret weapon when fishing with soft plastics. The benefits to these keepers are three fold: First, you will use fewer soft plastic baits saving you a lot of money over the course of the season. Second, you will be more efficient and effective on the water not having to re-rig or adjust your bait every cast. Third, you will fish with confidence knowing your bait will stay rigged properly the entire cast and confidence is the key to becoming a successful angler. Hitch Series pro James Niggemeyer says "Hitch Series makes a must have innovative item that I use to maximize my efficiency and the life of my soft plastic lures. ... For more hassle free angling Hitch Series is a must have item!" The Hitch Series Trailer Keepers are available on line at http://www.hitchseries.com/ or add them to your cart with your next Tackle Warehouse order http://www.tacklewarehouse.com/Trailer_Keepers_The_Trailer_Hitch/descpage-HSTKPTH.html. Check them out and see how much better you will fish. Tim also provides Victory Baits - which he has proven to us over the years that can and do achieve victorious results. Victory Baits are custom made jigs, spinners and other baits that Tim will build for you to your prescribed desires. Victory baits will help you present your confidence bait and put more fish in the boat! For more info on Victory Baits contact Tim through the Hitch-series webpage. The ADVANCED Sunday TOC for 2013 is officially named The Hitch Series GreenHorn ADVANCED TOC, September 8th on Lake Waconia. This season we will provide Victory Baits and Hitch Series products at our regular season events and the ADVANCED Series TOC. Welcome Hitch-Series and Victory Baits to the GHBT!!! It's that time of the year again to start thinking about warm summer sun and bass fishing! I had a great time in 2012 fishing with you guys and am looking forward to another great year in 2013. I have updated the website to reflect some of the new changes for the year. The schedule is posted and we have an all new division in the GHBT this year. We have officially kicked off the GHBT ADVANCED SUNDAY SERIES! 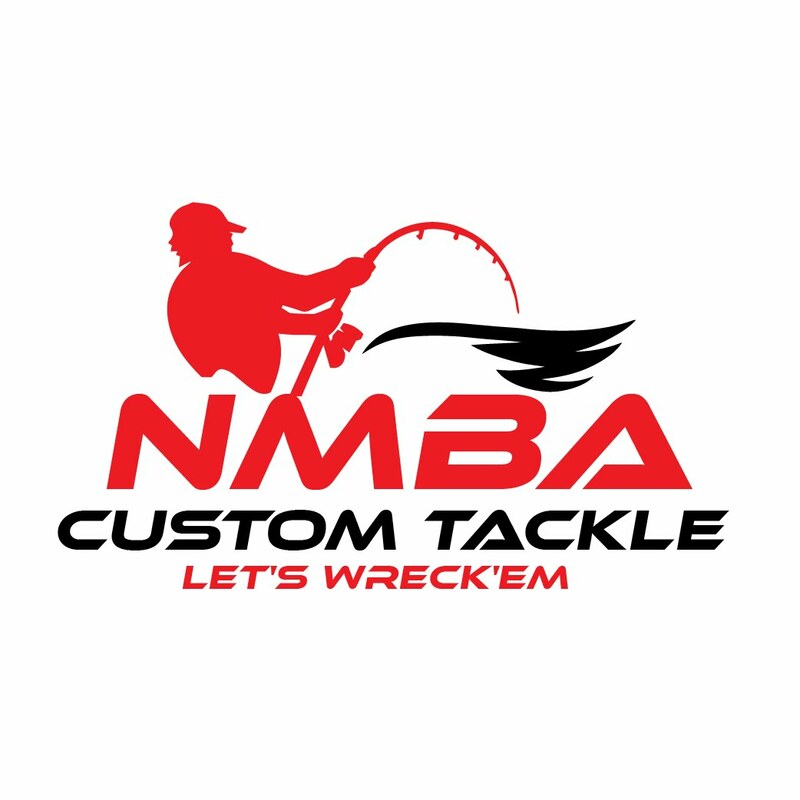 Originally we were looking to start this new series in 2014 so that we could have 3 years of fishing experience to create ratings and such for anglers, although we wanted to create a division in which we could bring back some of our high rated anglers and not leave you guys out on a limb for another year. With the addition of the ADVANCED Sunday series comes the rating system which is discussed in more detail on the website. And you all are probably wondering where you are rated. So if you fished with us last year, you now have a rating (if you have fished with us in previous years you may also have a rating). I have attached the current ratings with promotions to ADVANCED listed for each team. I have discussed the ADVANCED league with each team from last year who will be stepping up so it shouldnt come as a surprise to anyone. I am pleased to announce that Dan Cocharn and Bill Lynaugh will run the ADVANCED Sunday Series tournaments! I will continue to run the GreenHorn Sunday Seris and Kaine will continue to run the GreenHorn Wednesday Series. The schedules have been posted for all events of the year and we are now taking memberships for 2013. Since you have all fished with us in the past you just need to shoot me an email (back to this address) to let me know which series (or multiple series) you are interested in. If you have a new co-angler I would like them to submit the new member questionaire on the website. They will require GreenHorn eligability if fishing either GreenHorn Series. I am looking forward to another great year of fishing with all of you guys! Please let me know if you are interested in signing up for this years events! As always spots will be filled first come/first serve and I am already getting a few new members signing up! Feel free to fill out the new member application if you are a new member for 2012. I am updating the membership forms now and will be able to start taking formal signup by next week. New for 2013 is the ADVANCED Sunday Series! Check out more using the links (right). New for 2013 is the GHBT Rating. I will be sending out ratings to all of last years teams soon. The website will be updated and 2013 memberships will start to be taken mid January 2013. I am starting to work on the 2013 lake schedule. If you have any suggestions please email and we will consider it for the 2013 season. I'm excited to announce the kickoff of the GHBT Advanced Sunday Series in 2012. If you've been turned away for over-qualification to fish the GreenHorn Bass Tour in the past you will now be eligible to fish the GHBT. We will have two Sunday series alternating each week (one advanced and one greenhorn) and the regular wednesday series. The wednesday series will remain a greenhorn event. Thanks everyone who fished in Saturday's Big Bass Battle on Clear Lake. We had a lot of fun getting out one last time. Congratulations to Opie (friends of Steve Hammerschmidt) on the win with a 4lb 10oz hog! Everyone did well catching an overall combined best 5 fish weight of 20lb 9oz. We are done for the year! There will be no more big bass battles or other events until 2013. 6/28/12 - The results of the wednesday 6/27 tournament on Forest have now been posted! 6/27/12 - The results of saturday's GHBT Big Bass Battle on Fannie Lake are now posted! Click Here. 6/26/12 - Thanks everyone for the great sportsmanship and collaboration at the N/S Center Sunday Tournament! Results are now posted! 6/19/12 - The Sunday Series Tournament for August 5th will be on White Bear Lake! We are looking into launching from the city access but are not yet confirmed. We will let everyone know. 6/15/12 - The Green lake wednesday night series was a success! Thanks for everyone who came out and fished. It was great to meet you guys who we hadnt met yet and overall the tournament went very well. Great Sportsmanship out there! Resuts are now Posted!! 5/07/12 - Membership Update - We have three spots still available to fill out the GHBT this season!! If you are on the fence or just waiting to let us know you would like to fish this year please let us know! If you know anyone who is interested in tournament fishing please let them know that these spots are still available and we will do our best to get them in! 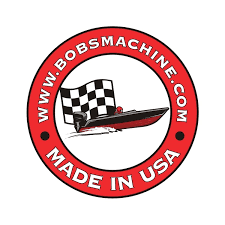 Our goal is to fill out with 15 boats in each series. 5/07/12 - If you havent sent your membership forms and fees in - this is the time to do it. I would prefer to have all forms and fees by May 15th and absolutley need them prior to the first event. Your spot on the tour isnt locked in until your forms and fees have been collected. 4/26/12 - Thanks to everyone who attended the 2012 Pre-season meeting. We had a great turnout and good participation. It was fun to see you guys again and it was great to meet some of our new league members. During the meeting we discussed the Big Bass Battle and decided as a group to make the BBB a $10.00 per person event and each angler will weigh-in their respective biggest bass for the tournament. The anglers must choose the bass to be weighed and the tournament director will only weight one fish per angler to be recorded as their big bass. 3/9/2012 - Interested in advertising with the GHBT - Please contact the tournament directors. We have space available on the webpage and display locations during tournament weigh-ins. 1/31/2012 - Now taking membership applications, and memberships for the 2012 season!! All 2012 members will require an evaluation for "greenhorn status" prior to being accepted into the league. If you are interested in joining the league please follow the instructions in the "Join the Tour" Link. Once accepted into the GHBT for the 2012 season we will mail you a 2012 entry form and further instructions. OptiCast League Bonus and Payouts! !